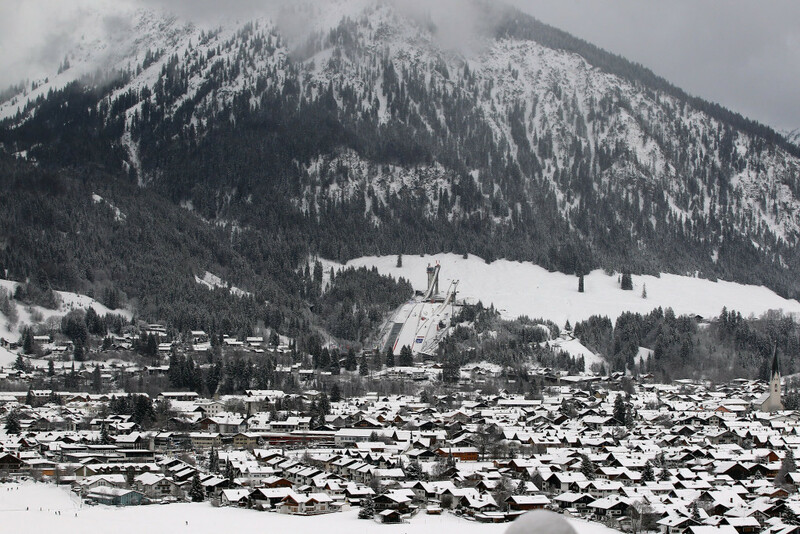 Organisers of the 2021 International Ski Federation (FIS) Nordic World Ski Championships in Oberstdorf in Germany have laid out their plans to upgrade the cross-country, ski jumping and ski flying stadiums. The plans were shown during a FIS Coordination Group meeting, with the delegation featuring representatives of the FIS and Infront Sports & Media, the official broadcast and marketing partner of Oberstdorf 2021. Welcomed by members of the German Ski Association (DSV) together with the Oberstdorf 2021 Local Organising Committee (LOC) and Tourism Bureau, it held a technical inspection of all three venues on the opening day of a two-day visit. Significant development of the cross-country stadium is foreseen to accommodate both competition activities and recreational skiing facilities. The meeting also saw FIS Nordic race directors Pierre Mignerey, Walter Hofer and Lasse Ottesen provide feedback about what must be done in the next four years to present the world with a top-level event. Alongside visiting the venues for Oberstdorf 2021, the members visited the nearby ski flying hill, which is nearly complete for the 2018 FIS Ski Flying World Championships. On day two, a complete overview was provided on the progress and planning for all aspects of the FIS Nordic World Ski Championships, including promotional activities, volunteer recruitment, marketing activities and several other technical areas. It is claimed the plans presented are still not entirely concrete, but already the Organising Committee has a clear direction with "solid ideas". Much of the framework is said to be in place due to what is described as their "vast World Cup hosting experience". "You can see a real sense of excitement about the opportunities presented by hosting the FIS Nordic World Ski Championships in 2021," FIS secretary general Sarah Lewis said. "The DSV and Oberstdorf team are working towards this major event with an eye on the future, taking into deep consideration the legacy that these World Championships have the opportunity to build up the next generation of German Nordic athletes, the community in Oberstdorf and the sport in general." As part of the first phase of planning, organisers attended the 2017 FIS Nordic World Ski Championships in Finnish city Lahti and the official debrief from that LOC. They have also strived to gain knowledge from 2019 hosts Seefeld in Austria. The first Coordination Group meeting for the FIS Nordic World Championships was held in September of last year. Oberstdorf were awarded the Championships - which also features Nordic combined - at the FIS Congress in Cancun in Mexico in June 2016. The German town won with 11 votes against its competitors - Norwegian city Trondheim, which got four, and Slovenian valley Planica, which gained two. Oberstdorf has previously staged the Championships in 1987 and 2005.